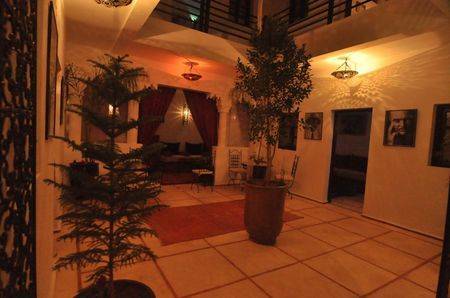 Riad Hcekarram offers his guests charm, comfort and tranquility. 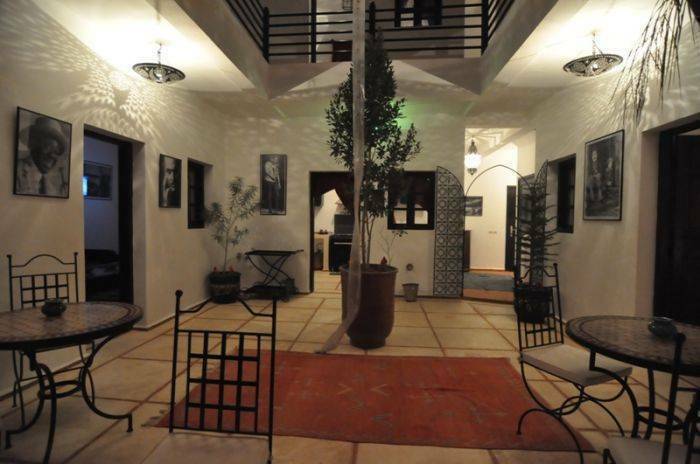 Located in a very old quarter in the north of the Medina, Sidi Ben Slimane, the spiritual part of the ochre city, at 02 steps from the famous Restaurant Dar Zellij. Abdelhadi the manager of the Riad who is very familiar with his hometown Marrakech and especially all the mazes of the old Medina. Each room was individualy designed and equipped with private bathroom and air conditioning. 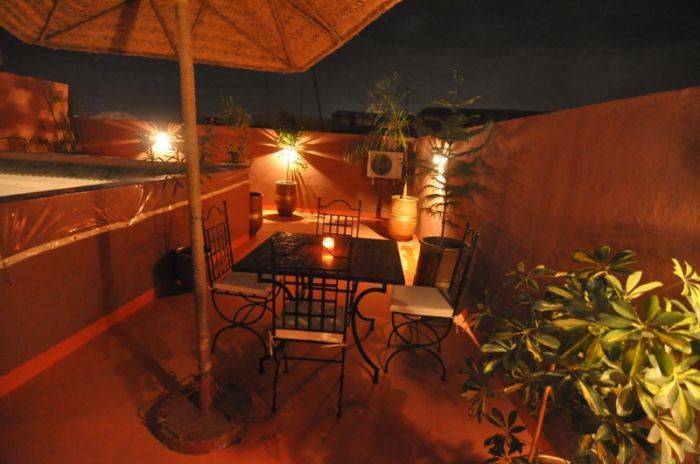 Our prices include Moroccan breakfast served at your convenience in the patio or on the terrace as well as the communal taxes. To discover the best of Moroccan cuisine, Riad Hcekarram proposes a variety of traditional menus served in in the salon, the patio or on the roof-terraces. 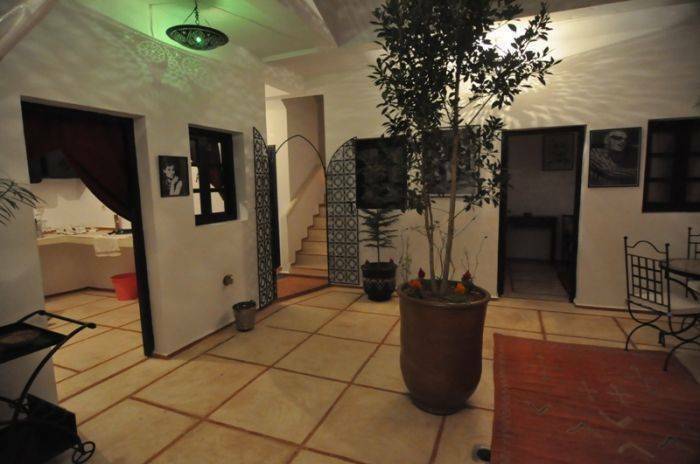 Each room was individualy designed and equipped with private bathroom and air conditioning. 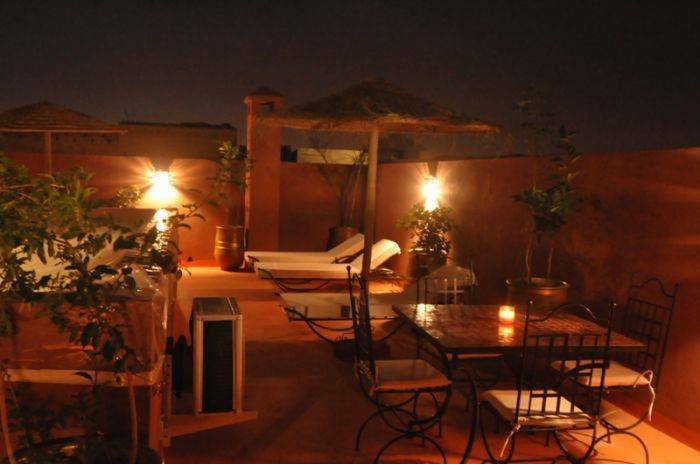 Our prices include Moroccan breakfast served at your convenience in the patio or on the terrace as well as the communal taxes. 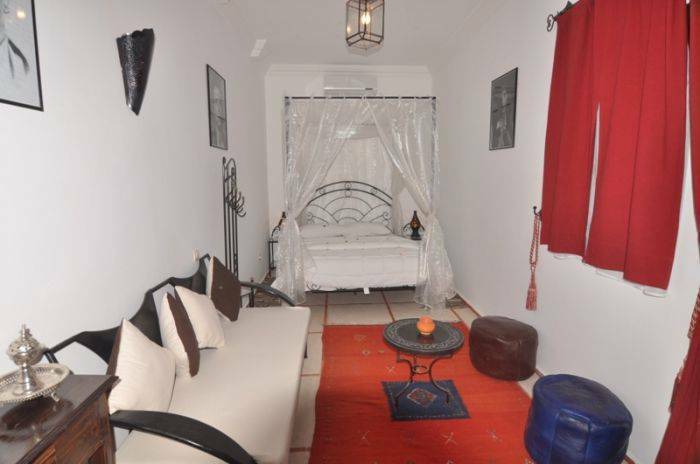 Prestige double room with a black iron Balquadin bed and authentic Moroccan furnishings which give a unique Mediterranean atmosphere. Private bathroom with toilet and traditional shower made in Tadellakt. Standard double room with double bed and private bathroom with toilet and shower in Tadellakt. In this charming guest room radiates the sunshine of happiness.